Networking it can be perceived as a nightmare. Let’s look at the networking life of Carol. It’s Carol’s office at 9 a.m. period 4 weeks before the event. Carol is sorting out his emails. She has a letter from a client. Junk mail.An invitation to a networking event. No way. I hate those events. Waste of time. I’m going to trash it. Carol thinks…Not for me thank you. Does this sound like you? If you’ve ever been too invited to the event through work or not wanted to go you’re not alone. 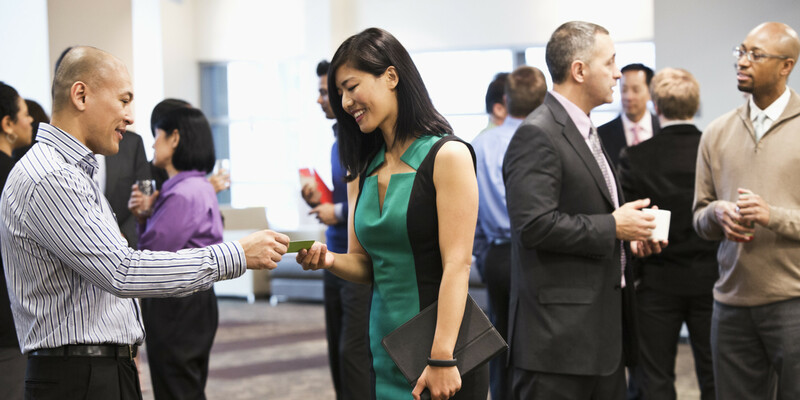 Many of us have felt uncomfortable about going to networking events. Don’t worry it’s entirely natural. Here are some of the concerns and reasons why people don’t like to attend networking events. Why don’t you want to go? I don’t like it I feel uncomfortable. I probably won’t know anyone there. My hosts hardly recommend any work to it so what’s the point? They’re bound to invite a hundred fifty people and I feel like a fish out of water. I can’t remember the last time I went and came back thinking it was time well spent. Getting in the driver seat. It’s a chance to raise your own and your organization’s profile rather than waiting for people to find you. All these reasons are very common; however, they are in fact some very good reasons why you should go. It’s a chance for you to develop your business. When you get involved you will see a real uplift in activity for your business. You never know who you might meet. There’s every chance you’ll meet us a useful contact or prospective client. You’ll be noticed by people outside your firm and out of your business sector. It’s a great opportunity to broaden your horizons. Your boss and colleagues would be delighted you’re going to networking events. Surveys show that when you do a great job and you’re visible, your chance of promotion is much greater. Meeting new people in your own or other professions in your local area might reveal some interesting opportunities for you or your business. You might actually have a good time. Everyone attending the networking event wants to have a good time so you’re all in the same boat. These are the reasons why you want to attend the networking event! Next we will talk about that ahaaaa moment and why that is important at a networking event.